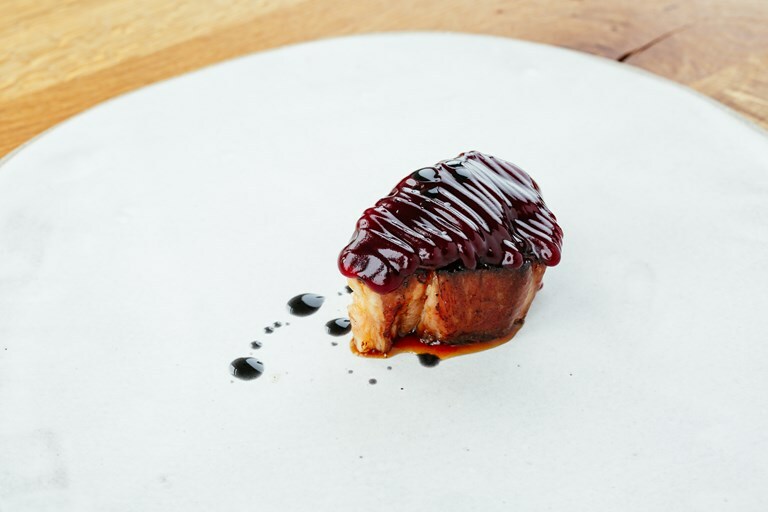 Gareth Ward brines then braises a whole piece of lamb neck before portioning and finishing on the barbecue in this stunning dish, finished with pickled morello cherries, an intense cherry ketchup, a drop of charcoal oil and an intense lamb and soy dressing. If you are attempting to make the charcoal oil for this dish, only use 100% natural lumpwood charcoal – using standard coals or briquettes laden with additives could be a health hazard. The portions here are designed to be eaten as part of a tasting menu, but feel free to scale up if desired.